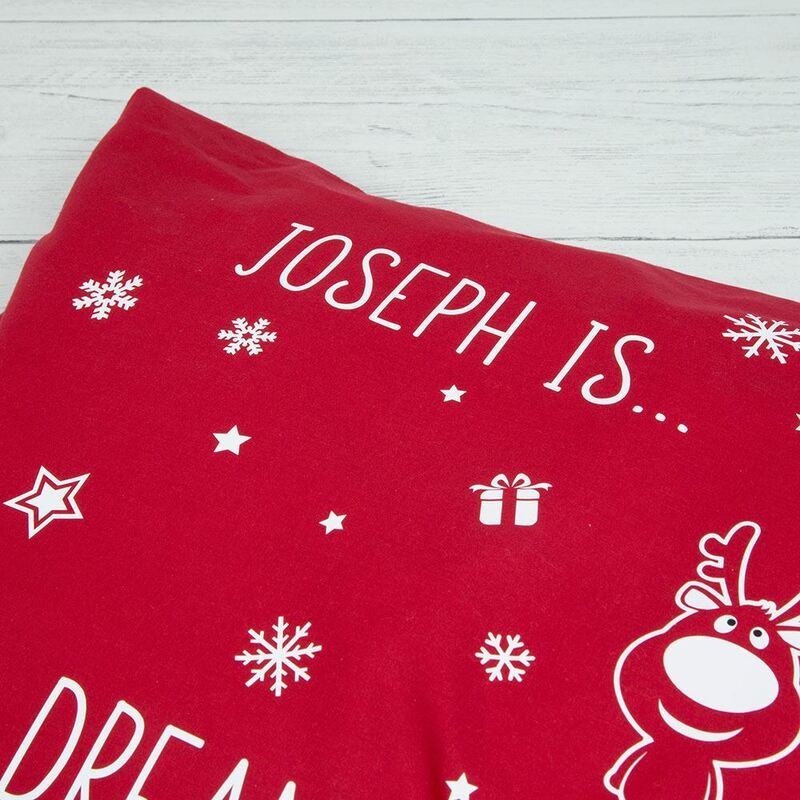 Add some fun to your childs bedroom this Christmas with our personalised Christmas Pillow case. 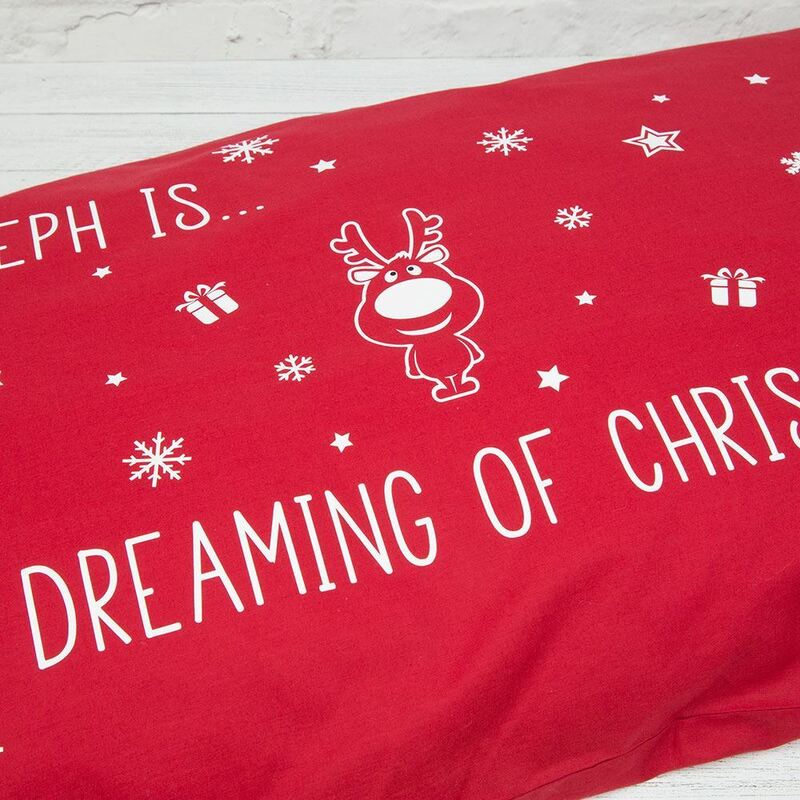 It comes with the child's name and the phrase ".....is dreaming of Christmas". 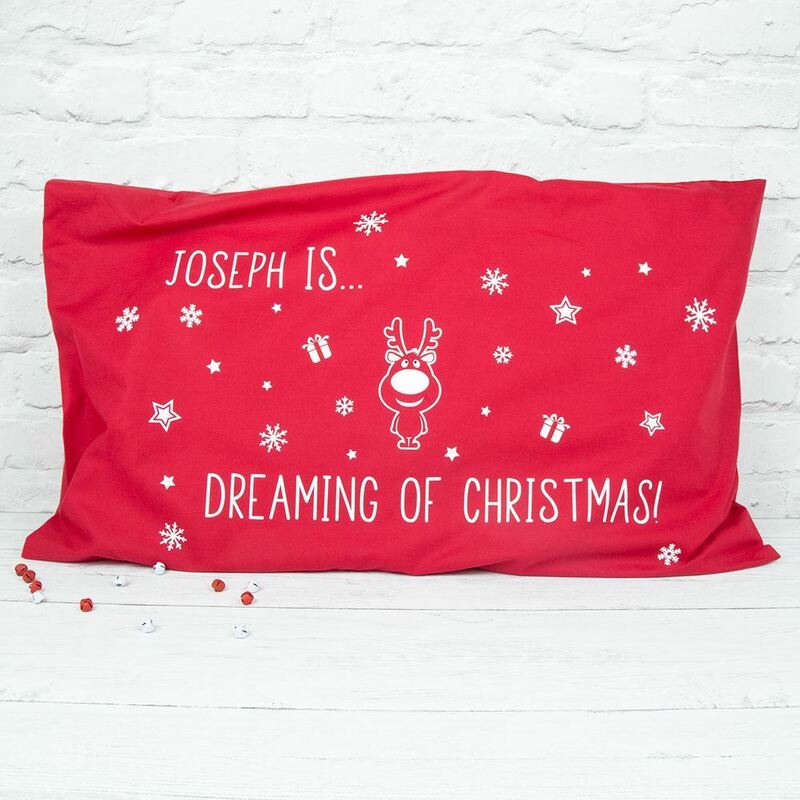 Add some fun to your childs bedroom this Christmas with our personalised Christmas Pillow case. 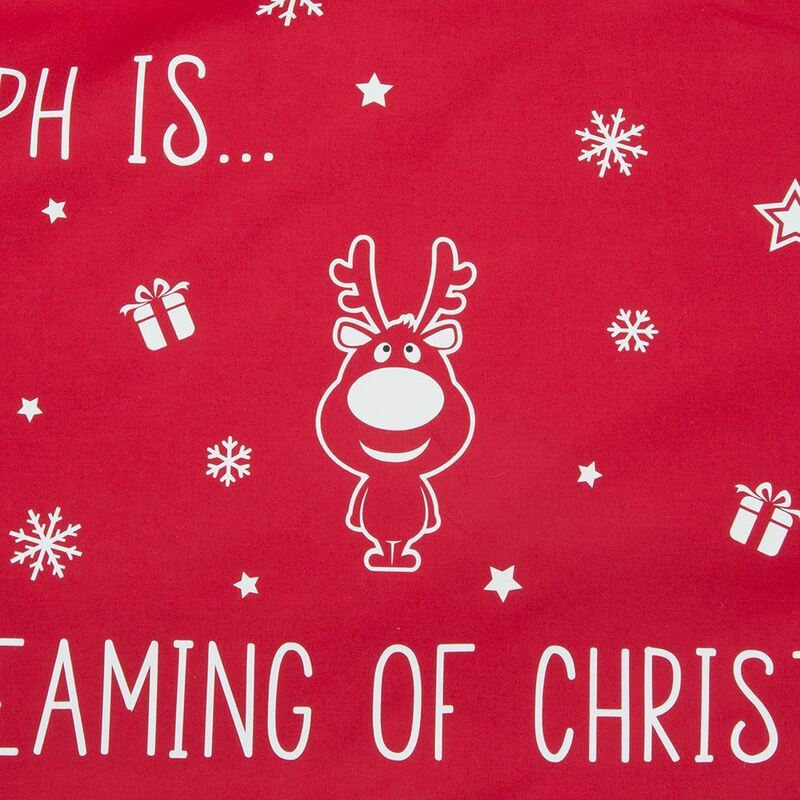 It comes with the child's name and the phrase ".....is dreaming of Christmas". It will last them throughout the Christmas season and makes the perfect addition to any kids room. It is finished off with a cute Rudolph design and some stars and snowflakes.